What? John Stossel Moved to Fox? I was delightfully surprised when I saw John Stossel on the Glen Beck TV show just last week. Then I received an email from a friend and they told me that John Stossel had been asked to part company from ABC. Primarily because a broadcast about the new proposed health care plan. I think I live such a sheltered life that I thought this might be a sham, so I snooped around some of the WordPress Blogs and found these blogs with some information, http://onemansthoughts.wordpress.com http://obambi.wordpress.com their posts were written in September and October 2009. Then I found a link to the New York Post http://www.nypost.com/. Of course, now I know just how out of touch I am! Geesh, where have I been? Glen Beck even has John Stossel’s interview on his web site under “interviews” http://www.glenbeck.com/. Then, I went to www.youtube.com and found this video! Apparently, this is part of the show that didn’t sit to well with ABC. So, just incase some of you folks out there are like me, out of the loop so to speak, you can see the clip here too. Apparently, This show was broadcast in July. I missed it because I seldom watch ABC anymore. Most of the programs are no longer interesting to me, being either to fluffy or a little too liberal for me. I find CBS to be a little more entertaining and Fox is where I find most of my news. What in the heck is wrong with educators, teachers and the people in charge of planning, ie. the School Boards around the country? Our local School Board is trying to decide if it is benificial to give every failing child a grade of no lower than a 61. They don’t want the children to feel discouraged!!! What is wrong with this concept? Is this going on in the rest of our country or only in the Norfolk, Virgina school district? Isn’t this “No Child Left Behind” a little extreme? I’ll report back if I hear that this rule has passed. It might be a little hard to find if they buried the ruling on the web site. Just how much does a Government appointed Tsar (Czar) earn as an income? I don’t ever remember anyone, anywhere, mentioning how much their salaries are. Is it public record? Please, point me in the right direction. Inquiring minds want to know! Were their salaries, pension plans and perks part of the stimulus plan? Is this even possible? Well, I guess so! A friend of mine sent me this youtube video. What a talented and, certainly, well cordinated man this is, Micheal Moschen! I know it is not generally what I post about but his act is really stunning. So, I just had to share. Friends at www.onlineauction.com getting together to have some fun in the real world. Passing out literature and business cards from many of our members and wading through tons of mud to boot. The Flea Market in Iowa will never be the same! Video provided by FleaPirates and DraggonTagger. 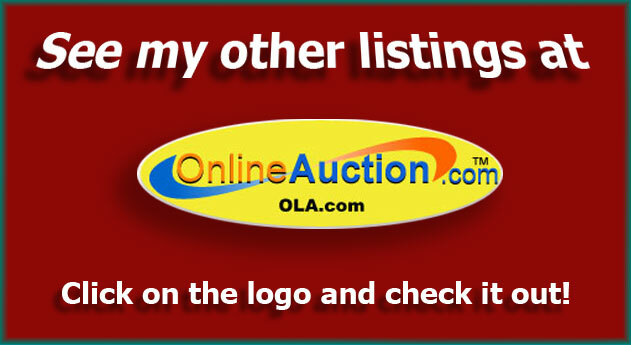 Of course you can click this logo to view a couple of things I am selling too. October 6, 2009 · Filed under Posers Quieries Questions	· Tagged Congress, congressional, government, pay raise, taxes, taxpayer dollars, U.S. I wasn’t really sure if what a friend of mine told me was true, so I started surfing the internet and found several articles on the subject. And, the pay raise is not a I know that the members of Congress have lost it, once again. In these tough economic times, unemployment on the rise, loosing homes and bail out after bail out. Why is our Congress continually trying to impoverish the citizens of this United States? Yet, they seem to be able to stroke themselves a pay increase with our taxpayer dollars. Very nice, huh? What a crock! Here are two detailed articles I discovered on the web.